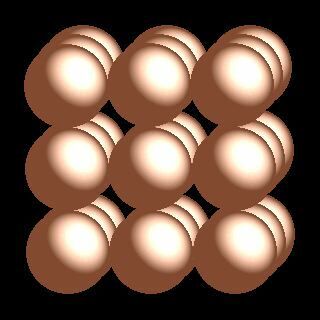 Polonium crystal structure image (ball and stick style). 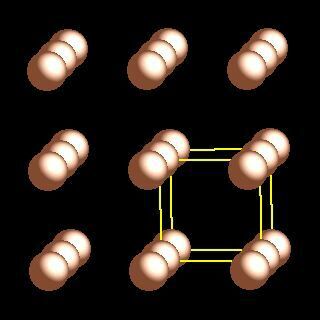 Polonium crystal structure image (space filling style). R. J. DeSando and R. C. Lange, J. Inorg. Nucl. Chem., 1966, 28, 1837.